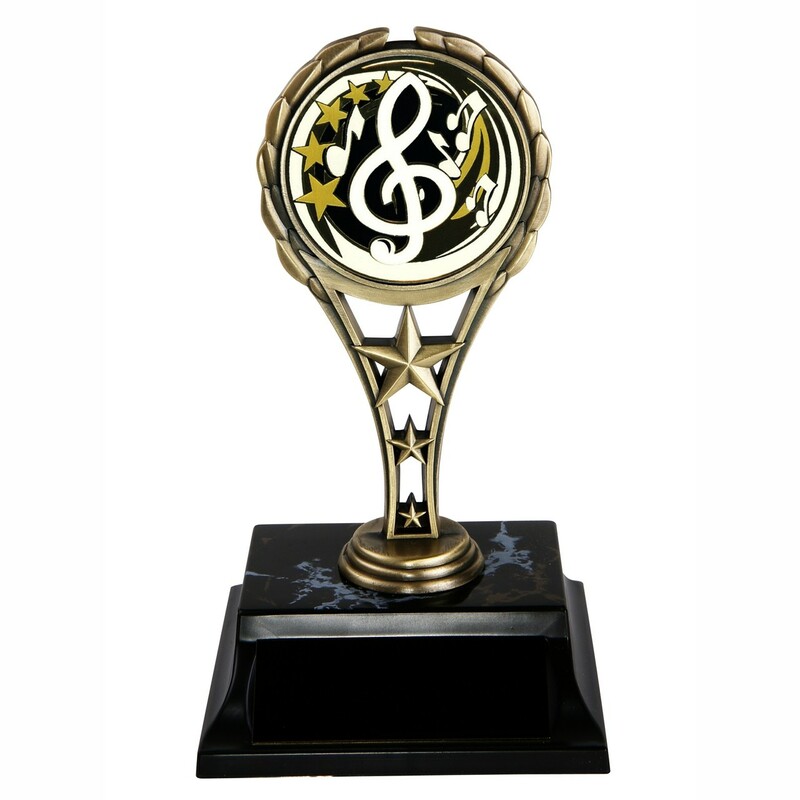 Recognize your outstanding musicians with the classic metal music trophies! They feature a gold colored solid metal riser with three stars and a gold, silver, and black insert that depicts a swirling music note and star border with a large treble clef sign in the center. The Classic Metal Music Trophies have gold engraving on a black brass plate for an award your musicians are sure to love!